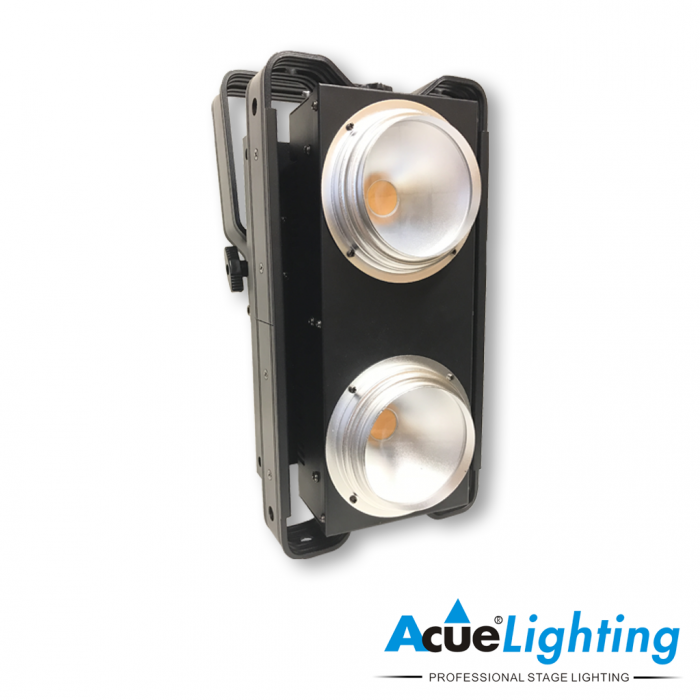 The Acue COB LED Blinder is a perfect replacement for traditional audience blinder fixtures, which required a lot of power and dimmer packs to operate.The Acue COB LED Blinder houses 2x powerful 100W Warm White (3200K) LED Chips. 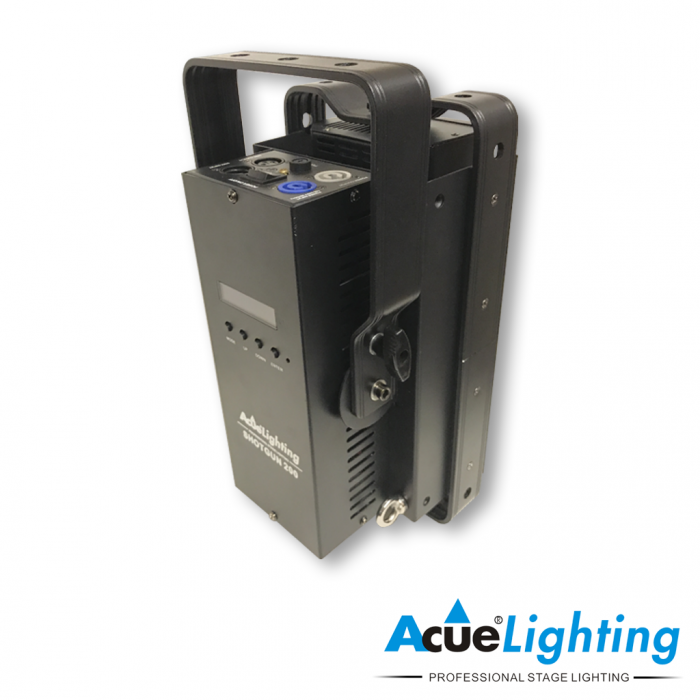 It also has built in DMX control, eliminating the need to run numerous dimmer packs to operate. They operate on 110v-220v electric circuits due to its built in electronic switching power supply. 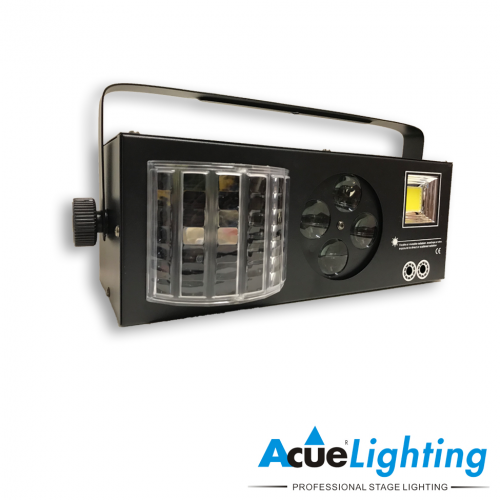 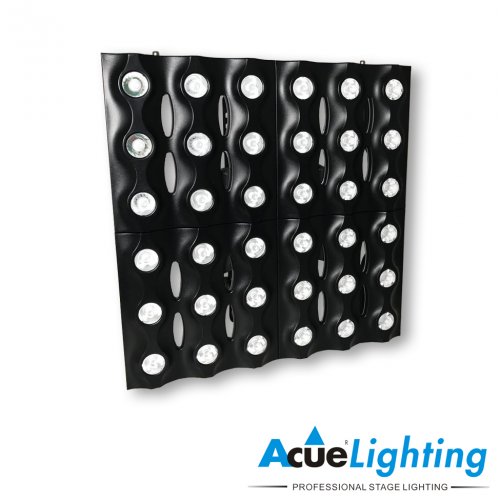 The Acue COB LED Blinder has multiple DMX channels allowing the lighting designer to fine tune the dimmer, shutter, shutter mode, and timing of the flashes just like a traditional blinder. 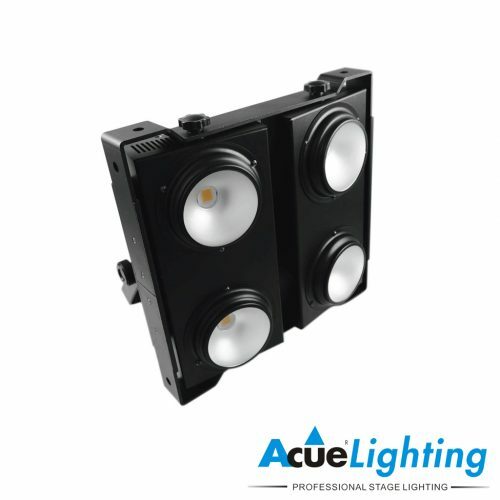 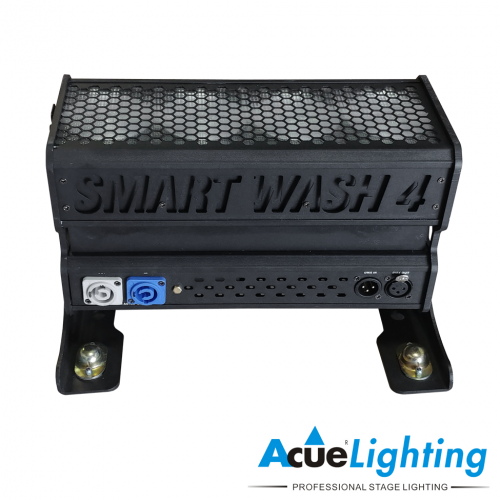 The Acue COB LED Blinder allows for lighting designers and production companies to have a blinder effect on any stage, big or small.